Prize: Inspired by WWII contact naval mine. Designed with spiky triggers and small rivets details. 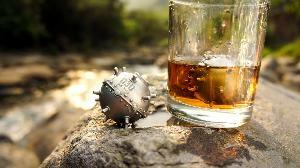 Put it in your drink, it’ll not only keep your drink cool, but also make it look cool. Statistics: This contest was opened by 114 and entered by 7 ContestChest.com members. 6% of those who opened the contest, entered it.